Aphasia is the loss of speech, not intellect. THA Group is here to help. June is Aphasia Awareness Month. Aphasia is a language disorder that affects a person’s ability to communicate. It results from damage to the brain, often caused by a stroke. Brain injuries resulting in aphasia may also arise from head trauma, brain tumors, degenerative diseases, infections or dementia such as Alzheimer’s disease. In some cases, it is a symptom of epilepsy or other neurological disorder. Aphasia impairs the ability to speak and understand others, and most people with aphasia experience difficulty reading and writing. An aphasia diagnosis does NOT imply that a person has a mental illness or impaired intelligence. A person with aphasia may have difficulty recalling words and names, but their intelligence is basically intact. Aphasia is not like Alzheimer’s disease. For people with aphasia, it is the ability to access ideas and thoughts through language – not the ideas and thoughts themselves – that is disrupted. A person can have aphasia without having a physical disability, but many people with the disorder also have weakness or paralysis of their right leg and right arm. When a person acquires aphasia, it is usually due to damage on the left side of the brain, which controls movements on the right side of the body. While expressive aphasia and receptive aphasia are the most common types, not all cases of aphasia are alike. Some people have difficulty speaking (expressive aphasia), while others may struggle to follow a conversation (receptive aphasia). Some people have fairly mild aphasia and you might not notice it right away. In other cases, it can be very severe, affecting speaking, writing, reading and listening (global aphasia). While specific symptoms can vary greatly, what all people with aphasia have in common are difficulties with communicating. Click here to learn more about the different types of aphasia. 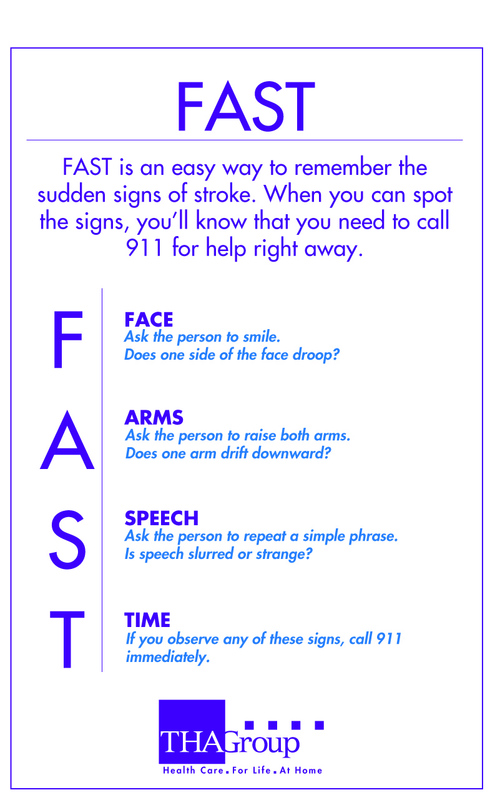 If the symptoms of aphasia last longer than two or three months after a stroke, a complete recovery is unlikely. However, it is important to note that some people continue to improve over a period of years and even decades. Improvement is a slow process that usually involves both helping the individual and family understand the nature of aphasia and learning compensatory strategies for communicating. Click here to learn more about how to communicate with a person who has aphasia. Aphasia affects about one million Americans. It is more common than Parkinson’s Disease, cerebral palsy or muscular dystrophy. More than 1000,000 Americans acquire aphasia every year. 25-40% of stroke survivors develop aphasia. Research has shown that speech-language treatment for aphasia can lead to gains in both the quantity and quality of communication. A speech-language pathologist (SLP) works collaboratively with a person’s family and other medical professionals to address all of the person’s needs. The SLP evaluates the person and determines the type and severity of aphasia. There are many types of treatment available for individuals with aphasia, which depend on the needs and goals of the patient. For most patients, a combination of formal (specialized programs using computers and other published materials) and informal tasks is most appropriate. THA Group SLP, Kelly Daniels, works with patients on drills and exercises to improve specific language skills affected by the brain damage. For example, a patient may practice naming objects, following directions or answering questions about stories. These exercises vary depending on individual needs and become more challenging and complex as skills improve. Kelly may also teach the patient ways to make use of stronger language skills, including thought organization, sequencing information, abstract reasoning, and short or long term memory. One specific approach used by many SLPs is the Life Participation Approach. This approach looks at all aspects of the patient’s life and focus is on the patient returning to his prior level of function at all levels possible. It targets re-engagement in life beginning with initial assessment and intervention, and continues after hospital discharge until the patient no longer elects to have communication support.